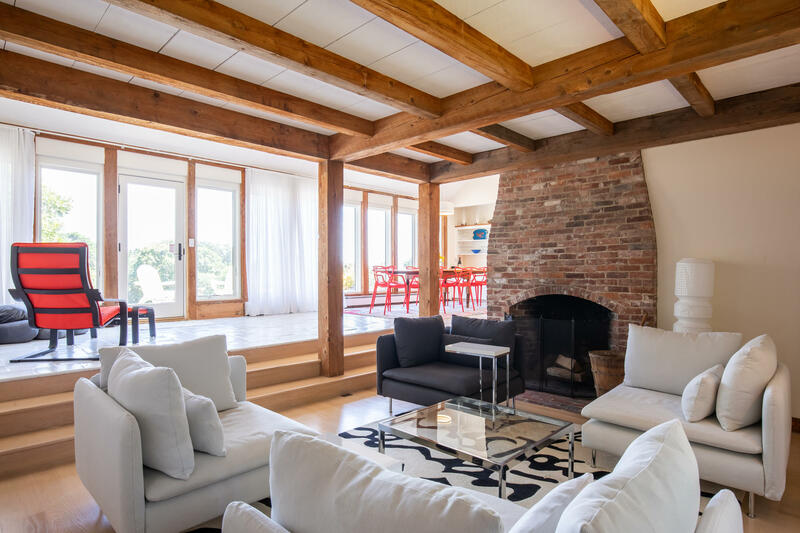 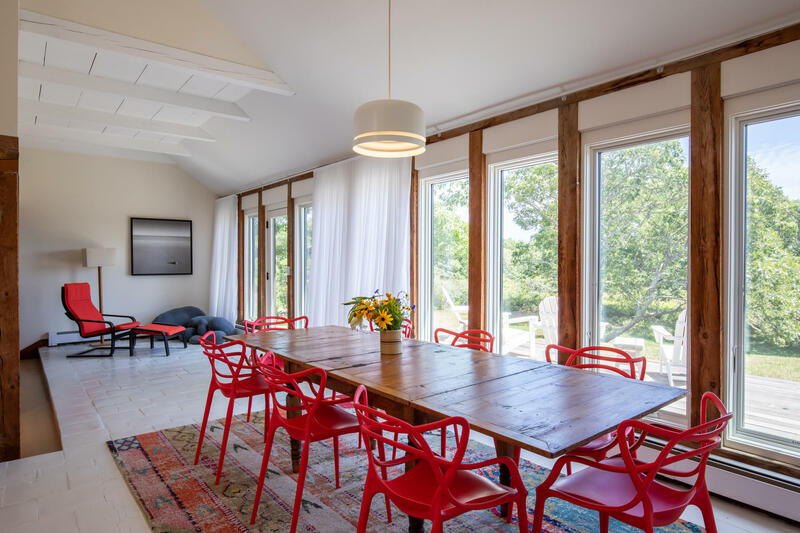 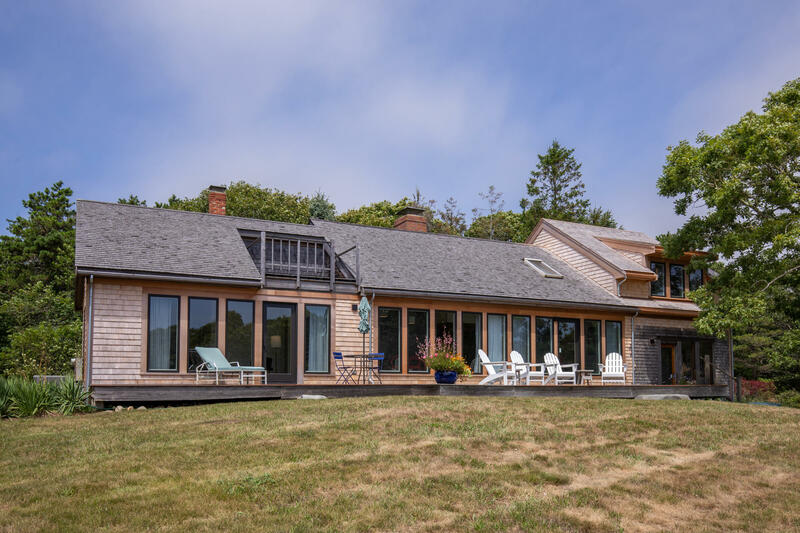 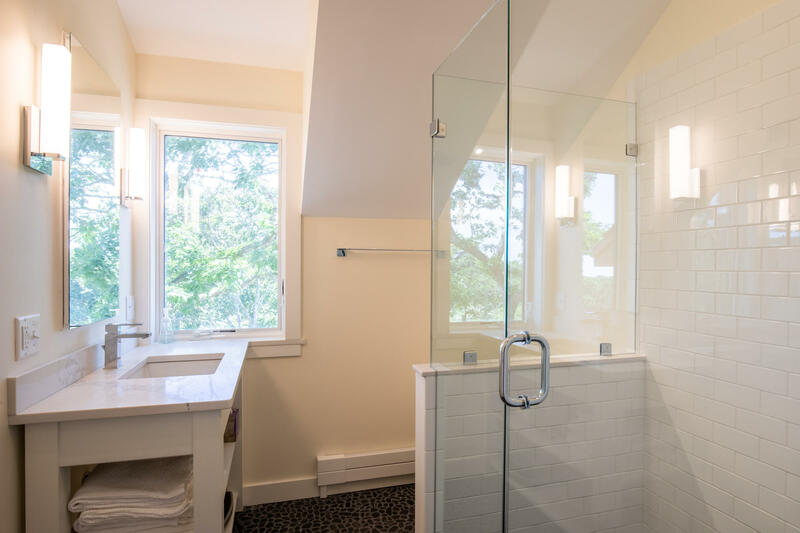 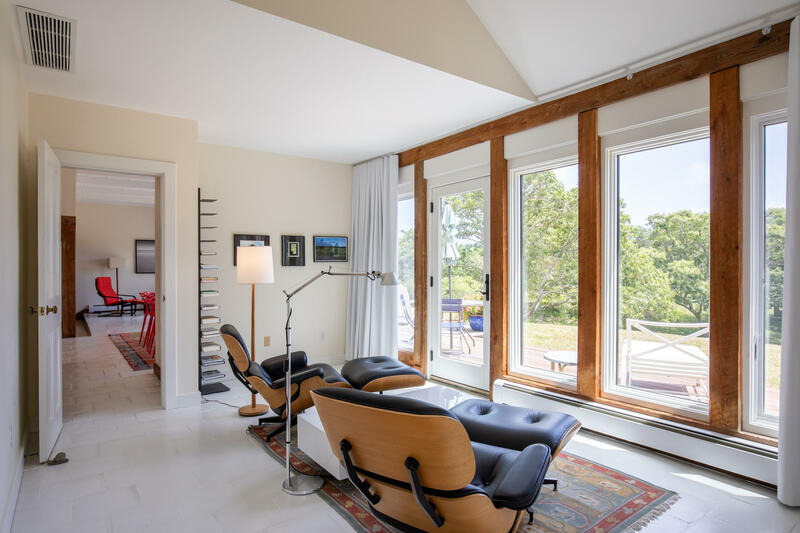 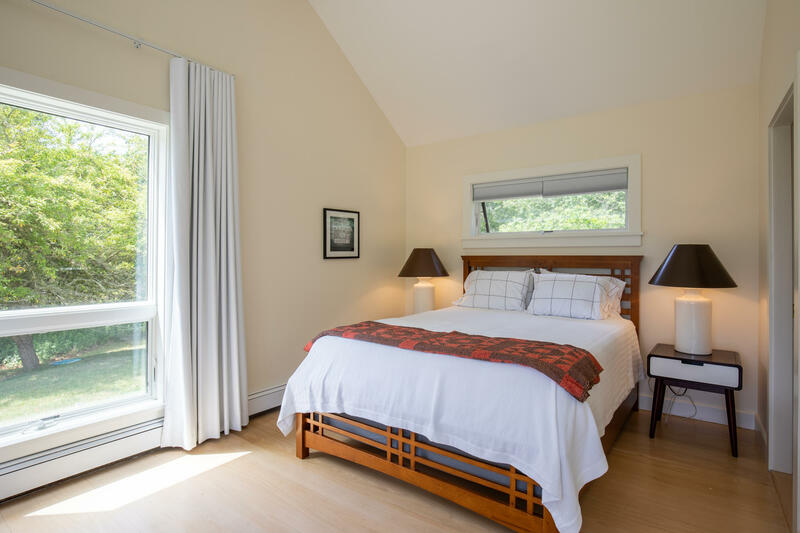 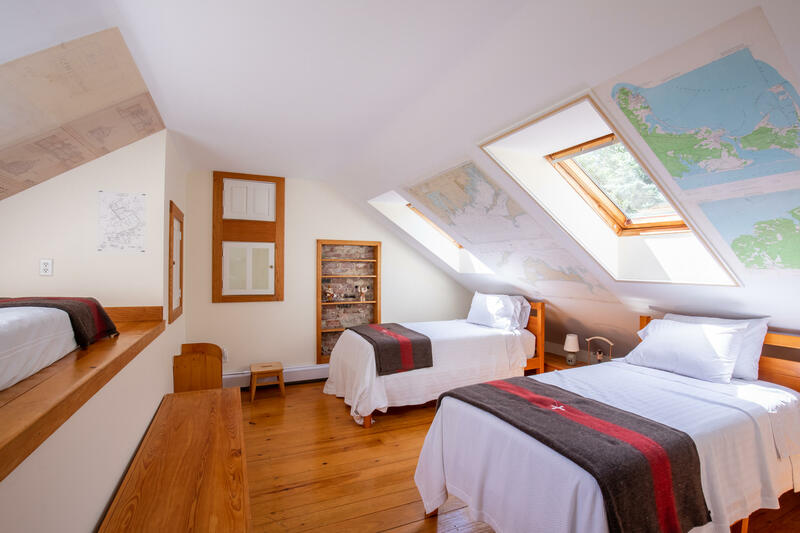 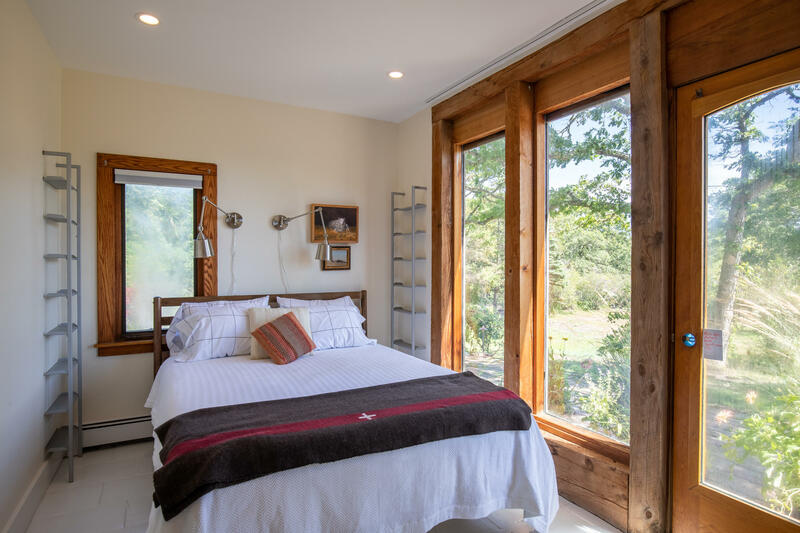 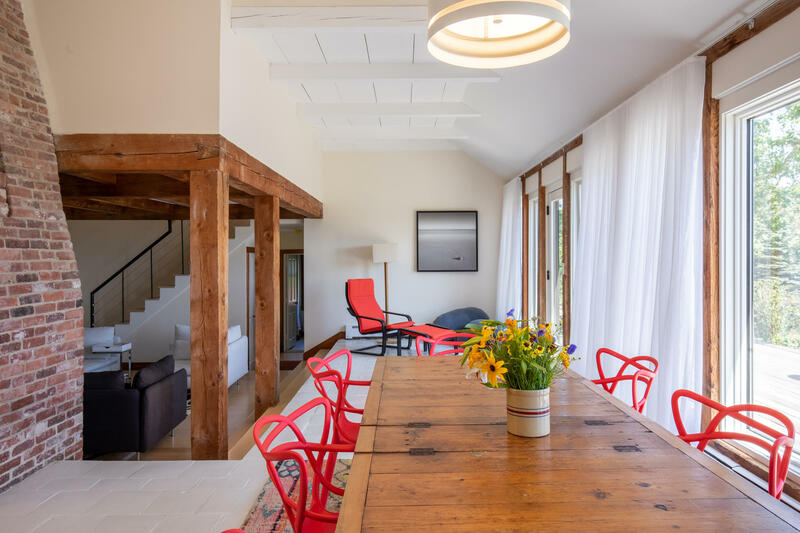 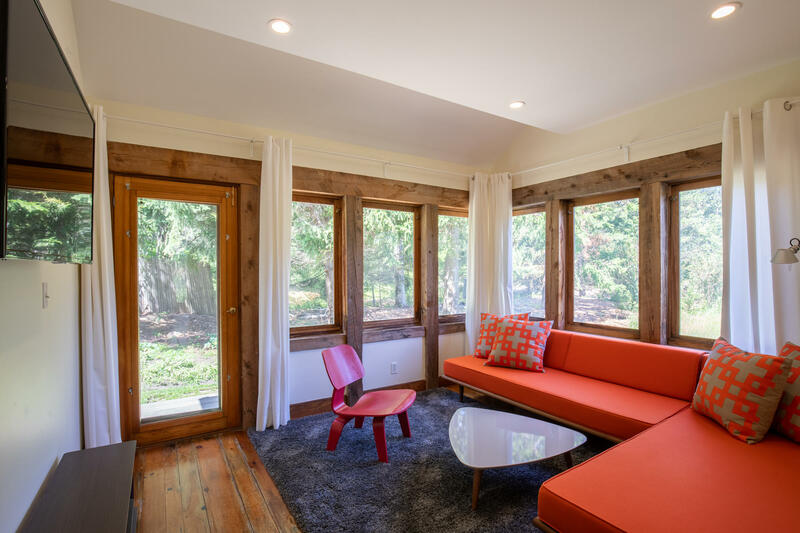 Stonewall Association, one of the premier waterfront neighborhoods in Chilmark, is the location of this brilliant renovation. 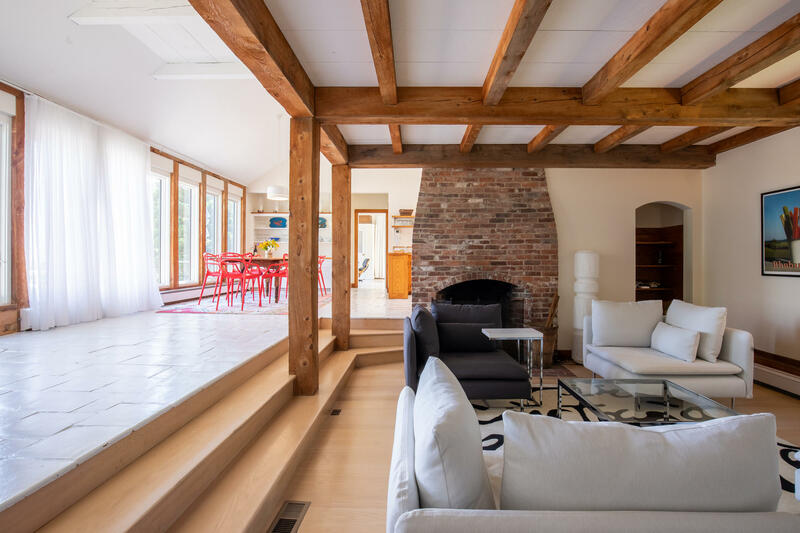 A wall of beautiful windows across the entire length of the house, white tile and light hardwood floors, create a delightful and stylish home. 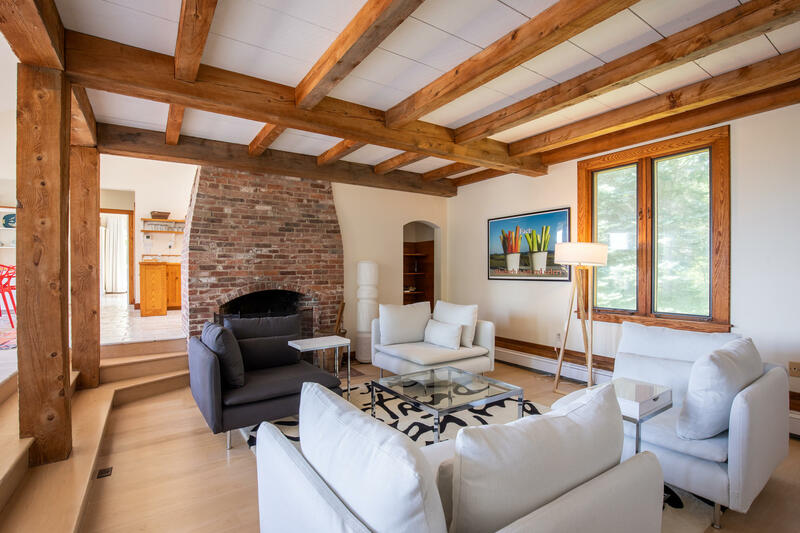 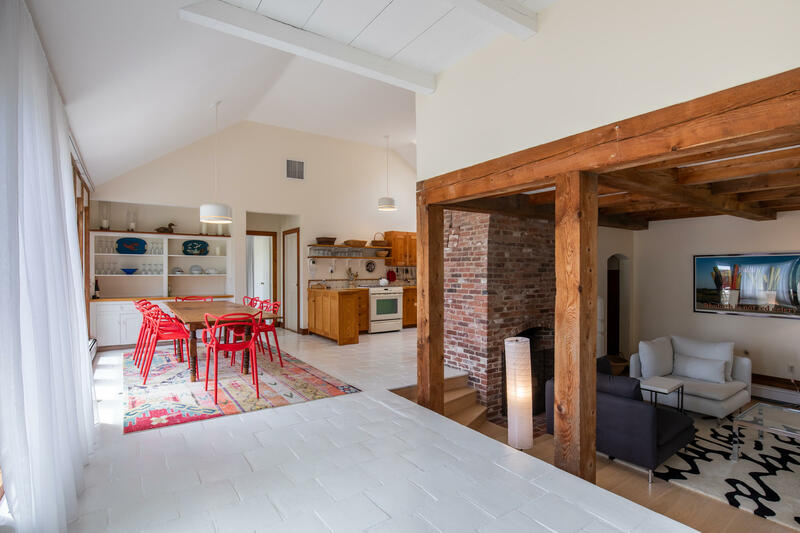 The renovation, completed this year, adds a clean, modern aesthetic that complements the strong post and beams of the original design. 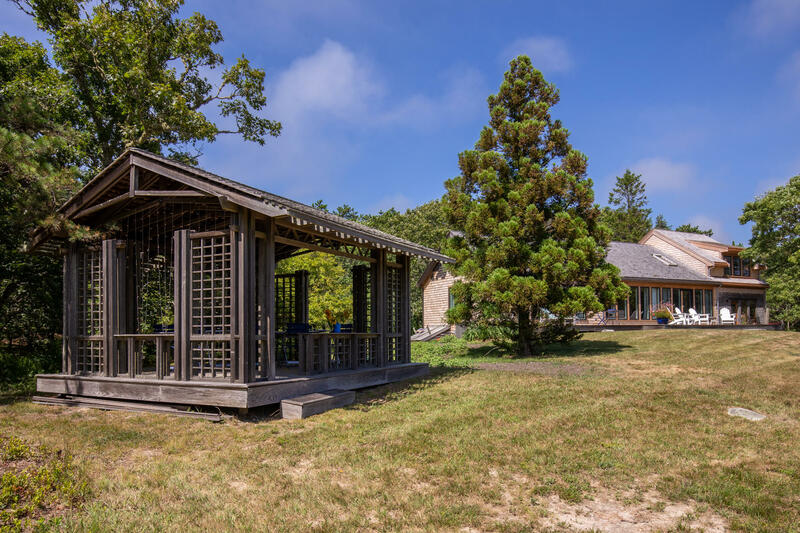 The 4.5-acre property is largely cleared providing a sweeping lawn and a setting for a whimsical outdoor dining gazebo. 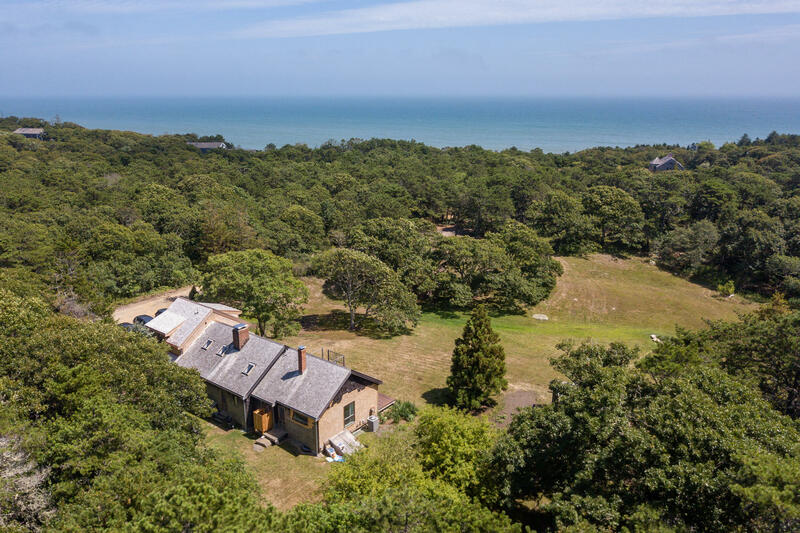 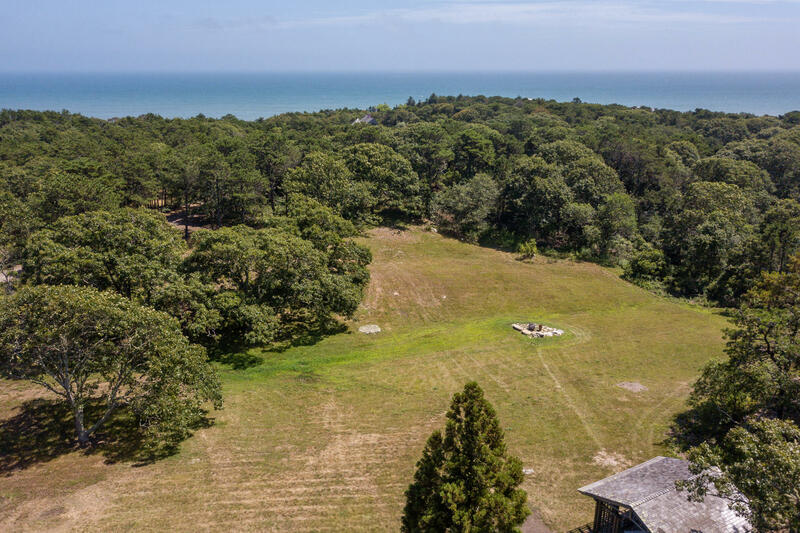 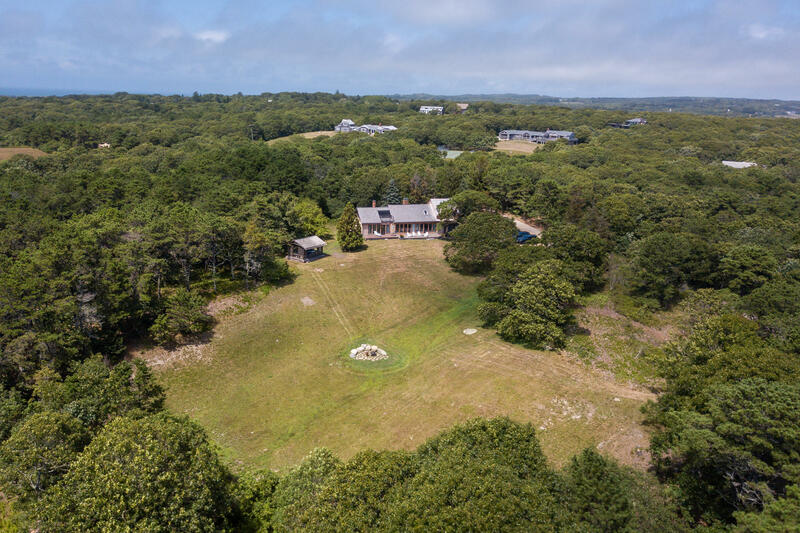 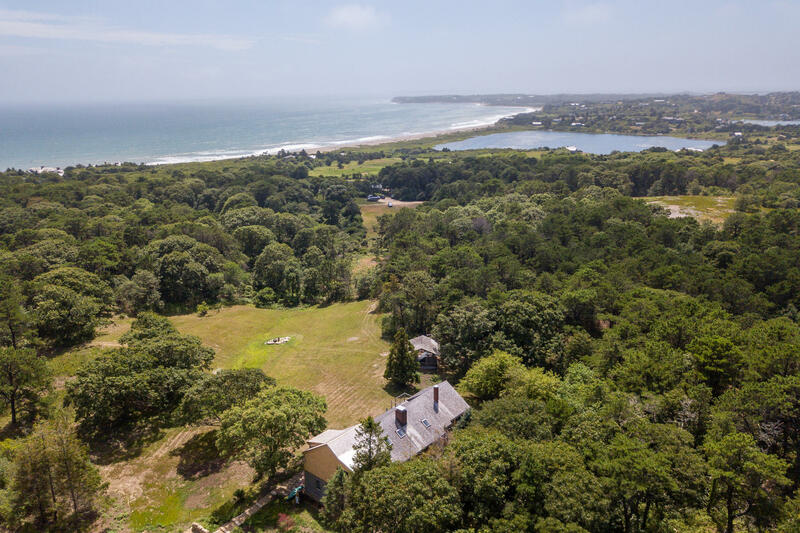 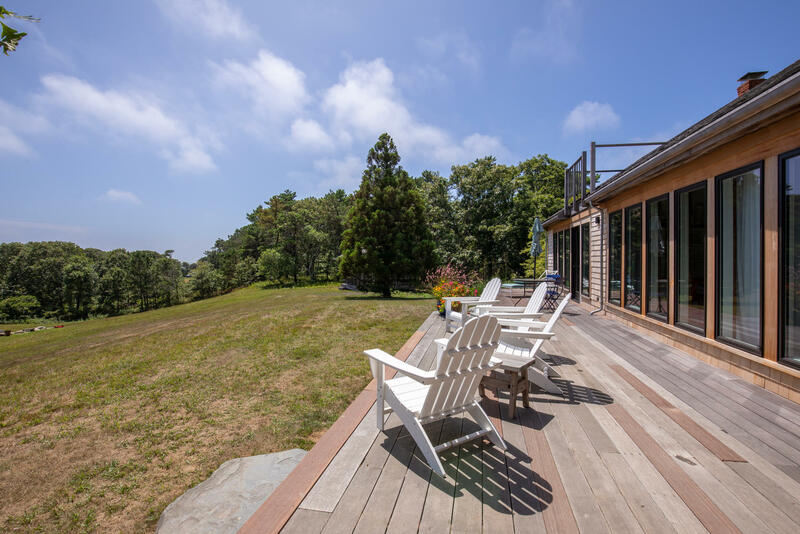 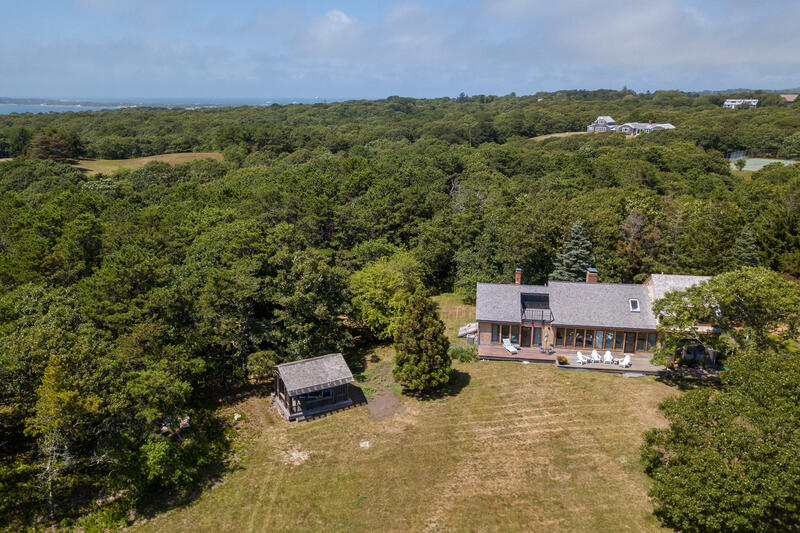 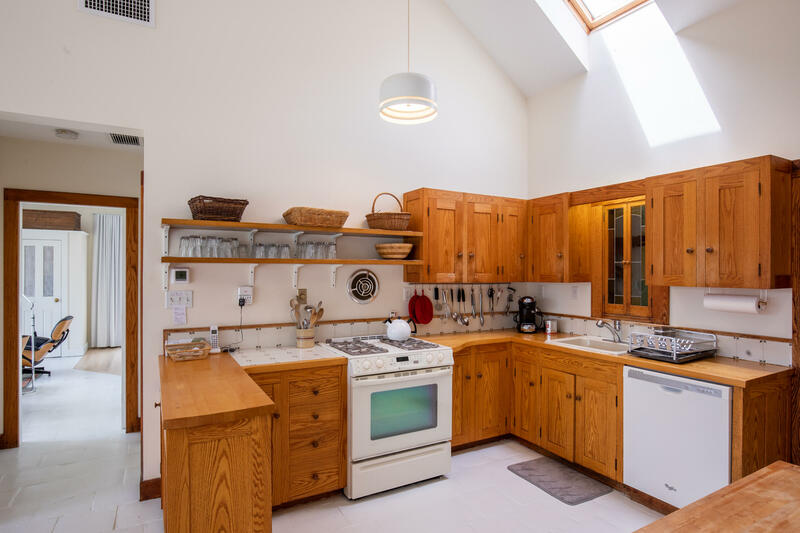 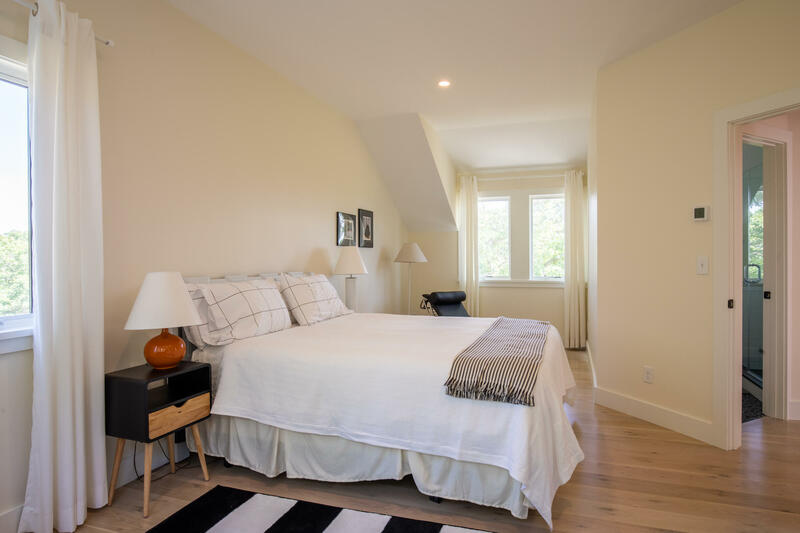 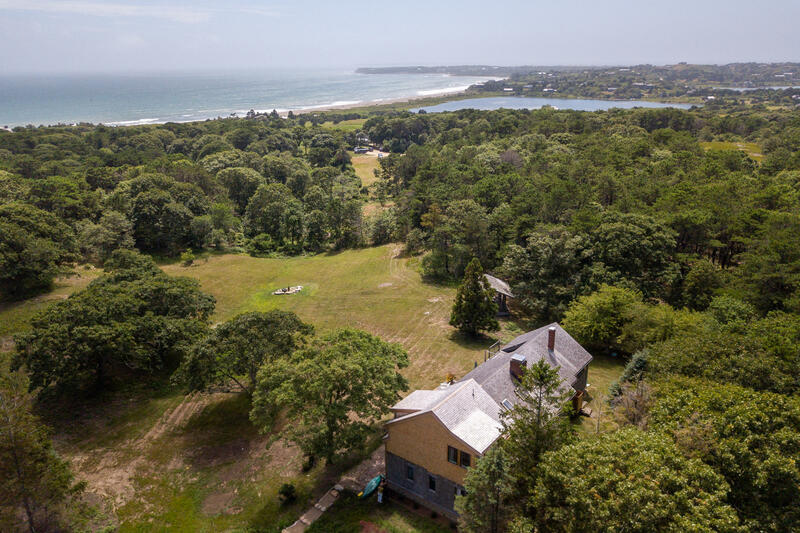 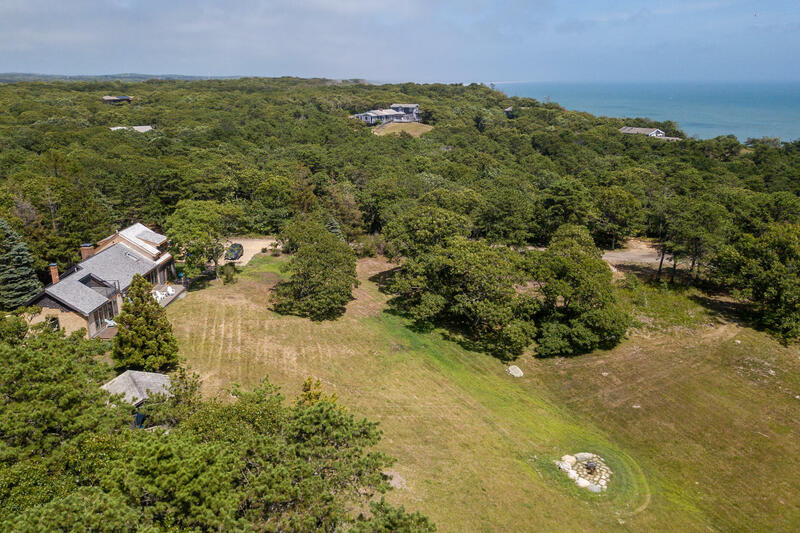 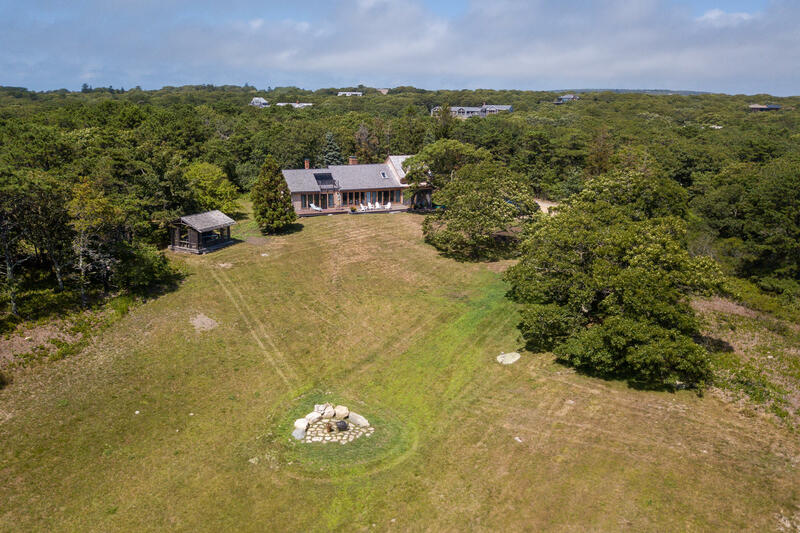 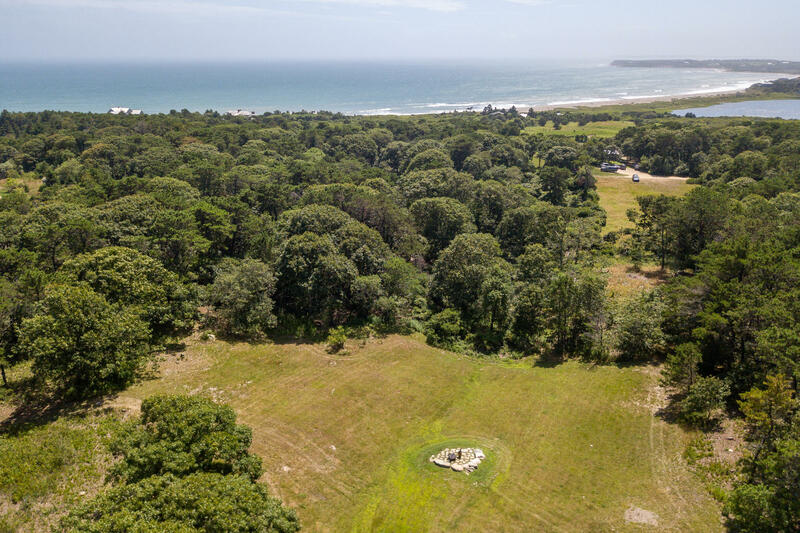 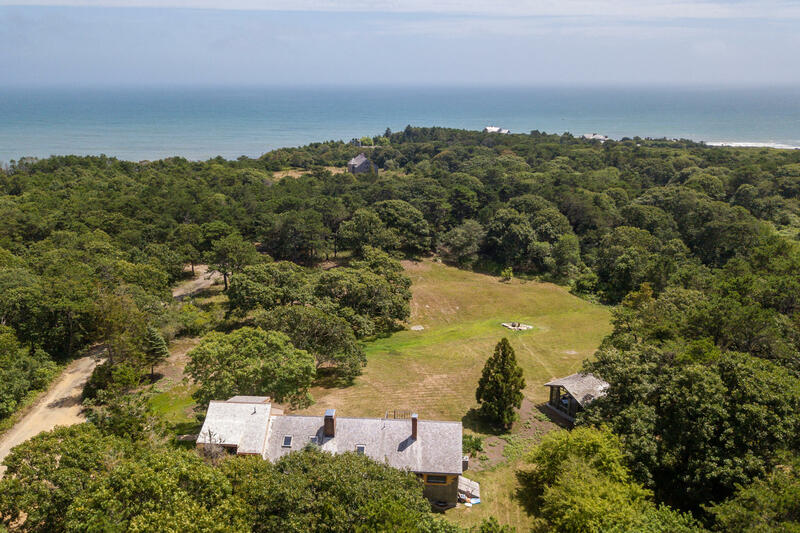 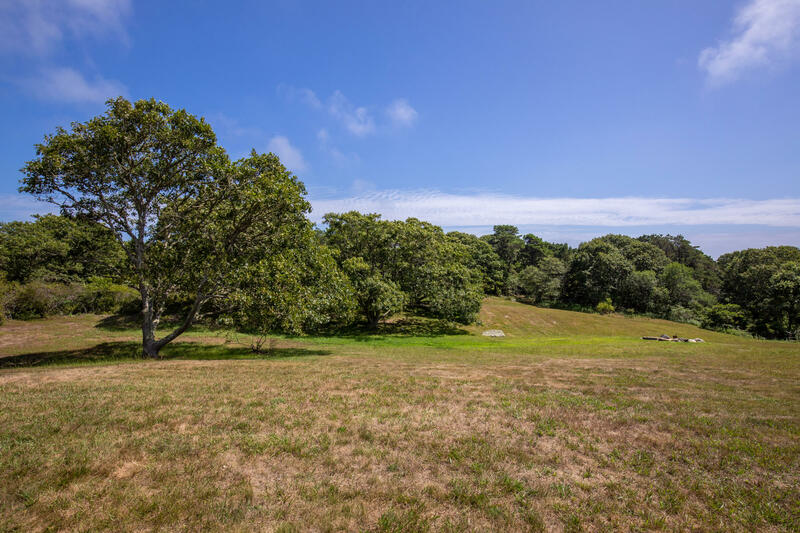 An Atlantic Ocean beach is the main allure of the neighborhood and this property is well situated for access to the beach and all the pleasures of Chilmark. 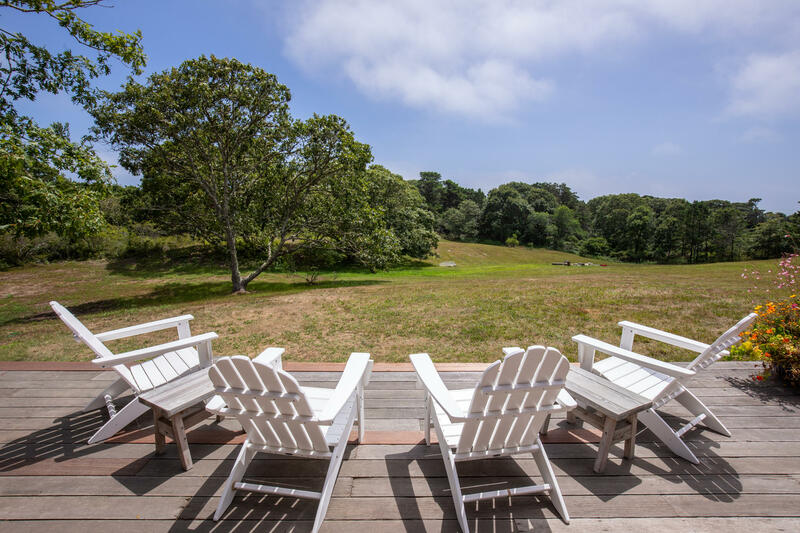 Whether you are a fun-loving beach person or academic recluse, this property has broad appeal to a gamut of tastes.